My oh my! Gloria sure had dollar signs dancing in her eyes when Jack informed her that Dina left the bulk of her estate to Graham. She just can't wait to get her greedy little hands on all that money. Dina will not be too pleased if Gloria pursues Graham. Neither will Ashley. That's for sure. It will be interesting to see how Graham reacts if Dina makes a move on him, as I fully expect her to do. The green-eyed monster has reared its ugly head in Genoa City. Devon is really jealous of Hilary and Jordan, Hilary, of course, flaunts her relationship with the Brass & Sassy photographer to the hilt. At the 4th of July pool party, she went out of her way to show off in front of Devon because she knows that he still has feelings for her. and she can really push his buttons. At the pool party, Devon was unable to hide the fact that seeing Hilary and Jordan together really upsets him. Mariah certainly noticed and she can't be too happy about that. That's why she asked Sharon if it's possible to ever get over the love of your life. She wonders if Devon will never get over Hilary. Deep down, she realizes that Devon's heart does not really belong to her. How long will she tolerate playing second fiddle to Hilary? Cane Ashby is about to hit rock bottom. He's been fired by Princess Victoria Newman and it won't be long before Lily gives him the boot. He's unemployed and soon he'll be divorced. Someone will want him, though. Although Juliet wouldn't admit it to Hilary, she has her sights set on the dapper Australian and she'll be waiting to help him pick up the pieces of his shattered life. Will she still want him, however, when she discovers the dirty trick he played on Billy. She took the blame for that and it cost her her job. Cane has paid dearly for his night in Tokyo, but his troubles are far from over. His children, Charlie and Mattie, are going to be so disappointed and disillusioned when they learn of his infidelity. He's still going to have to face more music when his other bad deed is exposed. He's not out of the woods yet, not by a long shot. As a matter of fact, his actions toward Billy may turn out to be the final straw where Lily is concerned. She may forgive him for his cheating with Juliet, especially if the paternity reveals that Cane is not the father of the baby. That could happen because it would be more unexpected. The writers know that most viewers expect the opposite and they want to surprise viewers with a few twists and turns. Cane and Lily's marriage may survive his drunken night in Japan, but it may not survive his scheme to altar a videotape in order to hurt Billy. Well, at least Cane will still have his scoundrel of a father to turn to. When Cane told his dear old dad about the Juliet situation, Colin advised him to keep on lying. Like father, like son. Victor seems to be promoting a romance between Abby and Scott. He always asks them to work together. Is he just playing Cupid or does he have an ulterior motive? If you think he's just matchmaking, then you haven't been paying attention and you really don't know Victor Newman. There is an underlying reason for almost everything he does. "The Moustache" usually gets what he wants and he is relentless. As he reminded Nikki, he never gives up. So, Faith is away at summer camp. I hope she doesn't return in September looking 17 years old. They've already aged Reed and the Ashby twins. Aging Faith would be a bit much. Besides, I like Alyvia Alyn Lind, the young actress who plays the character. I don't want an older actress to take over the role. Kevin Fisher announced to his friends and family that he is moving to Portland, Oregon with his daughter, Bella. He told them that he needs to make a fresh start. He said a tearful farewell to Michael, Paul, Esther and Gloria and Chelsea. There were some poignant moments during Kevin's goodbyes. It all seemed so final. Yet, according to Soap Central, Greg Rikaart, who portrays Kevin, will be onscreen until August. If that's the case, then the storyline hasn't quite wrapped up yet. Pretty boring the past few days. Seems like they used the 4th of July party to showcase the bodies in bathing suits. Most of them look better with their clothes on. The public displays of affection were a turn-off for me. Chloe's doctor is a real psycho or has he devised this crazy ploy to stay in Victor's good books? Whichever it is, the fallout will be devastating for Bella. Nikki must have been off on hiatus during this filming period (maybe that is when she went for her makeover), given that they have her getting away to steady and ready herself for the performance. Wonder how she will do? Many of the relationships are teetering on the edge of falling apart. It looks like the match-up cards will be shuffled again. Yes, CC, they usually have a summer swimming party and you are right about showing off in their bathing suits. Yes, they are probably giving Nikki some time off. Her concert should be very interesting. Many of the relationships are indeed teetering on the edge, especially Cane and Lily's. I can't see them staying together now. The other couples in trouble are Nick and Chelsea and Devon and Mariah. On the surface, everything seems to be going well for Nick and Chelsea. However, there are storm clouds ahead. When Nick learns what Chelsea is hiding from him (that Adam is Christian's biological father), he will never forgive Chelsea for keeping that from him. I've long predicted in this space that Nick will eventually reunite with Sharon. As for Devon and Mariah, I don't think they will last much longer. Devon's heart belongs to Hilary. Mariah realizes it, but she doesn't seem to want to face the unpleasant truth. It's about time she found someone who really wants to be with her. I don't like the storyline with Chloe and the doctor. I think the writers thought that up at the last minute. I'm trying to find out what the history was between Chelsea and Hilary's beau. Yes, Fifi, it seems as if the Chloe-Dr. Harris storyline was tacked on to resolve the storyline. I guess they had to do something to tie up all the loose ends, but I wish they had come up with a better solution. As for the history between Chelsea and Brass & Sassy photographer Jordan Wilde, they have a bond. They were friends but not a romantic couple. It seems they were con artists togethter "back in the day." Jordan took risque or pornographic before he became legit. Now he and Chelsea have successful careers and they both want to leave their unsavoury pasts behind. General Hospital fans are pleased that Steve Burton will be returning to General Hospital. However, his Y&R fans miss him in his role as Dylan. Steve played Jason Morgan on GH from 1991 to 2012. He played Dylan for four years on Y&R. 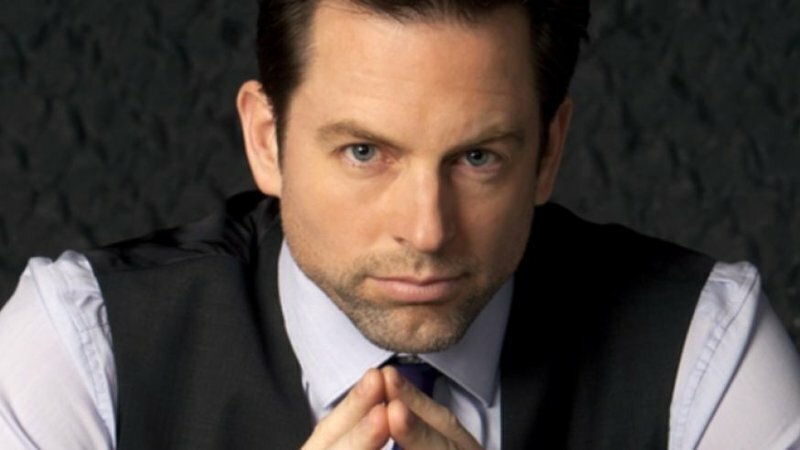 Sorry, Michael Muhney fans, but it doesn't appear that he'll be returning to the role of Adam Newman anytime soon. However, the good news is that he hasn't slammed the door shut on the possibility. Michael was quoted on Soap Central as saying, "There is no return to Y&R at this point. But who knows what the future holds." What is your favourite storyline on Y&R right now? The Abbott family astoryline with Dina, Graham and Ashley etc. That's all for now. Don't forget that the next edition of Y&R Report will appear in this space on Saturday, July 22, 2017. I'm looking forward to more summer fun on The Young and Restless Nikki's concert should be very interesting.